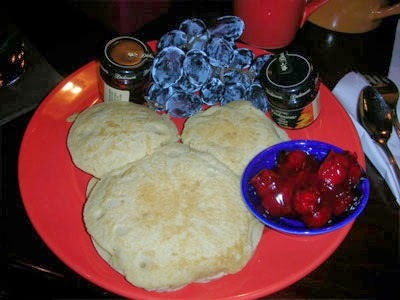 Laura Schmitt NE: Animal Kingdom gluten free and dairy free dining reviews. Animal Kingdom gluten free and dairy free dining reviews. Another buffet, but this one had different choices. The variety of roots and vegetables was much better then what we had found at other places. We really enjoyed this lunch. The only negative was the curry, which I was told was dairy free. 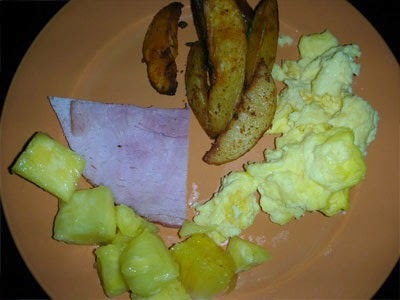 It did bother my stomach, and my husband's as well. Everything else was delightful. Dessert was a gluten free brownie. cherry topping, they got eaten up! That was a very nice surprise. 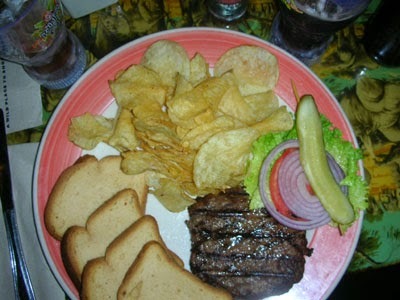 The Rainforest Cafe at Animal Kingdom had gluten free bread on hand, as well as gluten free fries and other items. Here is what we chose. We enjoyed this meal as well, although it did take a long time for the food to arrive. It was a fun place to wait.